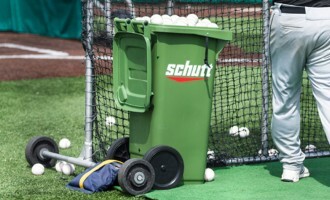 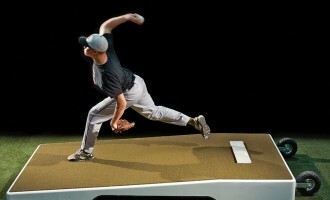 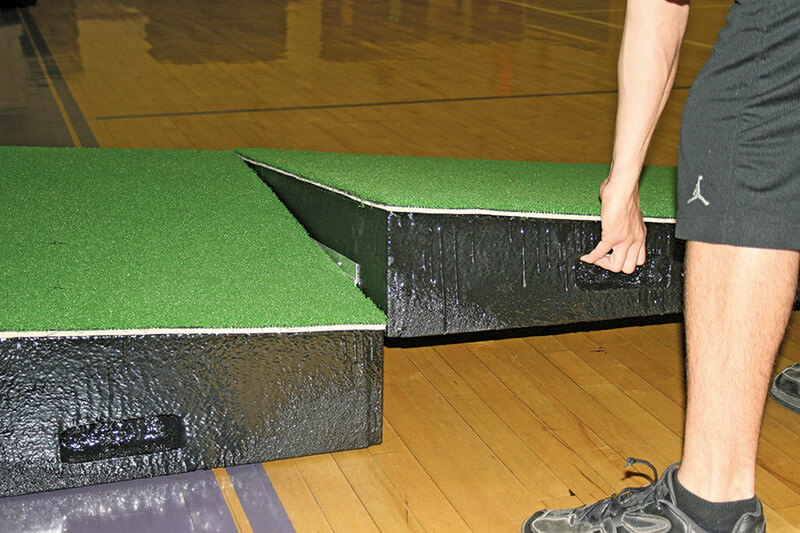 Two-piece mound with turf made with high-density foam. 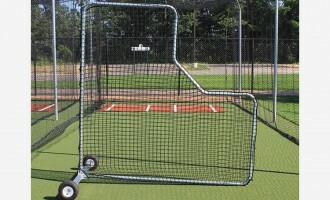 Protected for durability with ProMounds Rubber Armor Technology (P.R.A.T.) 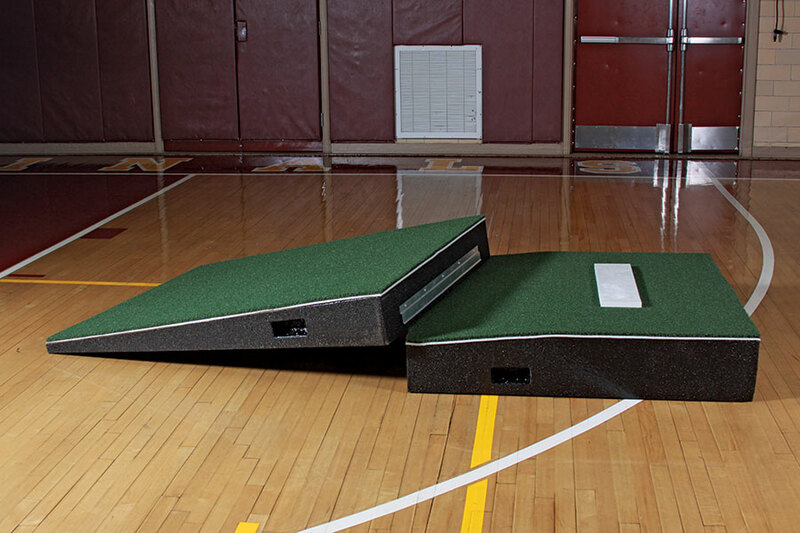 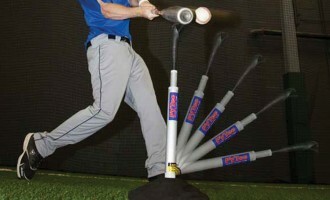 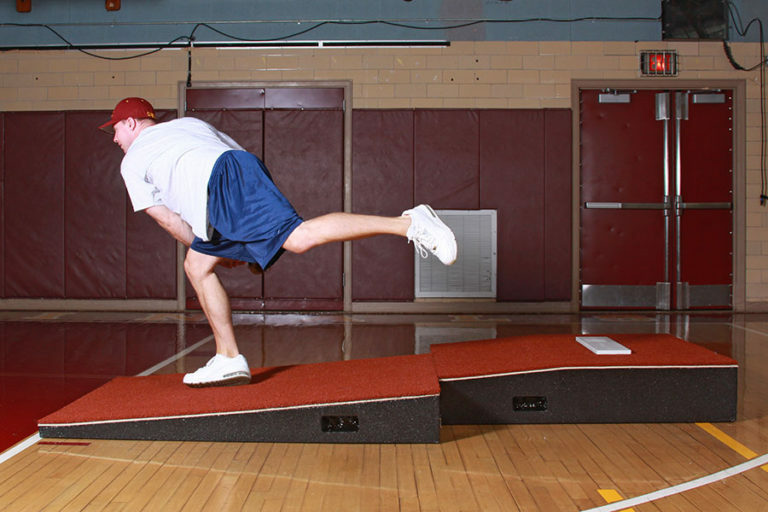 for a skid-proof mound that won’t damage gym floors.